The client is one of the world’s biggest non-alcoholic beverage producers. Once processed, finished product (tea) is moved from the manufacturing site to a nearby distribution centre. Planners could not trust the stock figures in ERP, and were purchasing too much raw material. Users could override the system selections, leading to stock write-offs. The interfaces to the company’s core SAP system were prone to error, needing continual support from the Global Information Systems team, which was becoming an inhibitor to process change. In addition, internal knowledge about the system and how it worked was decreasing and even the original supplier was having a problem finding people who really understood it. To overcome these problems the company decided to implement what is now the SAP Extended Warehouse Management application (SAP EWM). Although the company felt confident working with the software, it knew it needed help to change and improve its manufacturing, warehousing and distribution processes. So it selected Pivot to provide the supply chain consulting expertise, as the company was really impressed by the breadth of Pivot’s knowledge and expertise at delivering successful implementations. 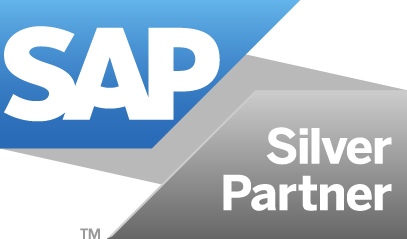 Once the project was underway, Pivot ran workshops to design and document the new processes that would be needed with SAP EWM. A key part of these workshops was involving the existing users. Because everyone knew the workarounds in the old system, and people quite often signed on as shared users, it was difficult to understand exactly who did what. To overcome the problem, and create a sense of ownership, Pivot involved the users in the development of the new processes which, combined with a comprehensive training programme, eliminated the need for shared users in the new system. Once the new processes were designed, Pivot provided a very detailed project blueprint document, which formed the foundation for the system build by the company’s SAP consultants and ABAP developers. Running a test go live over a weekend. During the test 43 remedial actions were identified and none of them re-occurred during the actual go-live. Following the successful go-live, the company now has a more streamlined supply chain, and all of the cost savings identified for year one have been realised. Raw tea is now shipped to the factory on a ‘Just-in-Time’ (JIT) basis. With SAP EWM feeding into forty production lines, the factory is producing an average of 240 million tea bags a week, consuming three full trailer loads of tea every 24 hours. Finished goods pallets coming off the conveyor are scanned and loaded directly onto the outbound trailers. The finished goods warehouse now has complete visibility across the whole process and, knowing what to expect, can significantly reduce product handling. The number of delivery failures has been minimised and the warehouse can make informed decisions about whether to deliver from stock or wait for an inbound delivery from the factory. As a direct result of implementing the system, the company has been able to redeploy headcount, reduce write-offs, improve on time and in full deliveries, track suppliers’ orders more effectively, and reduce packaging stock levels by 10%.